In the past several decades the budding yeast Saccharomyces cerevisiae has emerged as a prominent model for aging research. The creation of a single-gene deletion collection covering the majority of open reading frames in the yeast genome and advances in genomic technologies have opened yeast research to genome-scale screens for a variety of phenotypes. A number of screens have been performed looking for genes that modify secondary age-associated phenotypes such as stress resistance or growth rate. More recently, moderate-throughput methods for measuring replicative life span and high-throughput methods for measuring chronological life span have allowed for the first unbiased screens aimed at directly identifying genes involved in determining yeast longevity. 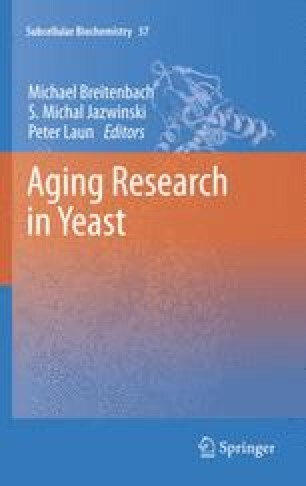 In this chapter we discuss large-scale life span studies performed in yeast and their implications for research related to the basic biology of aging.